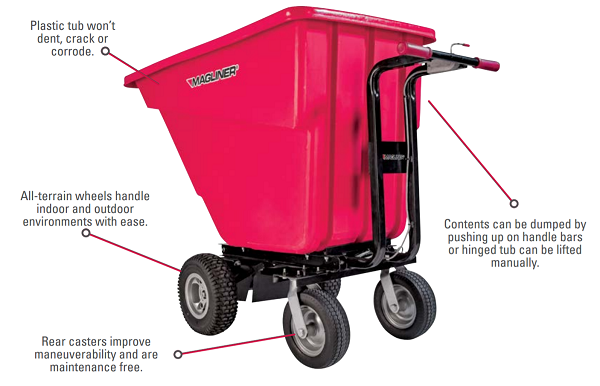 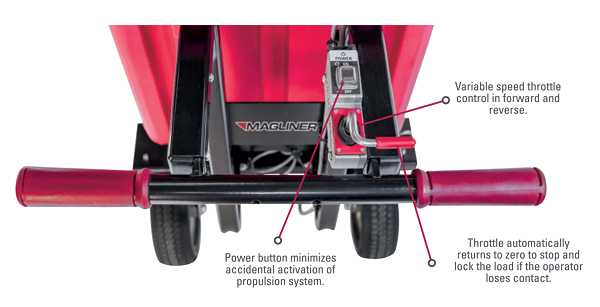 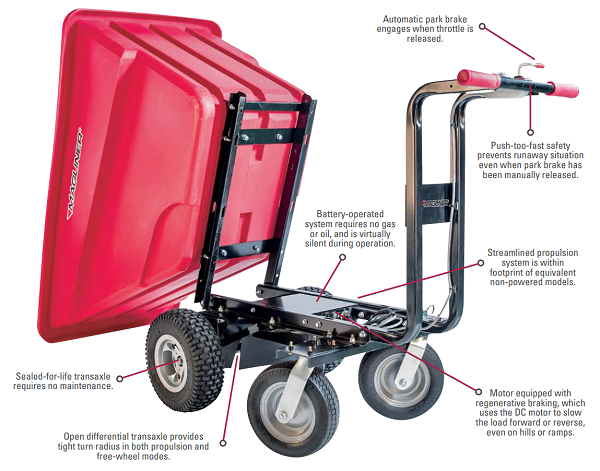 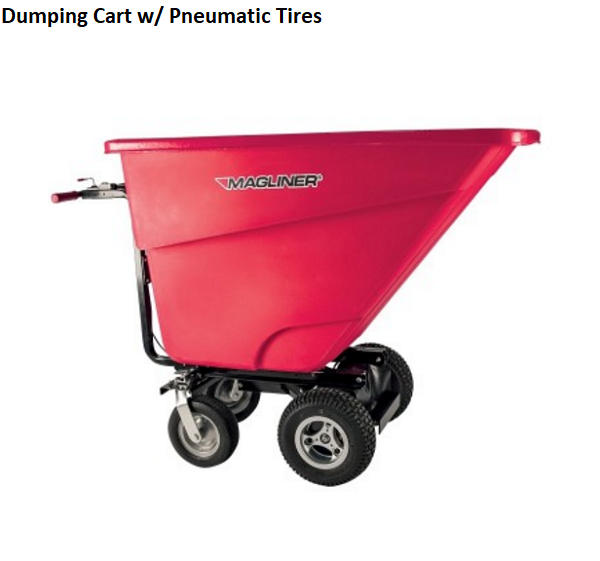 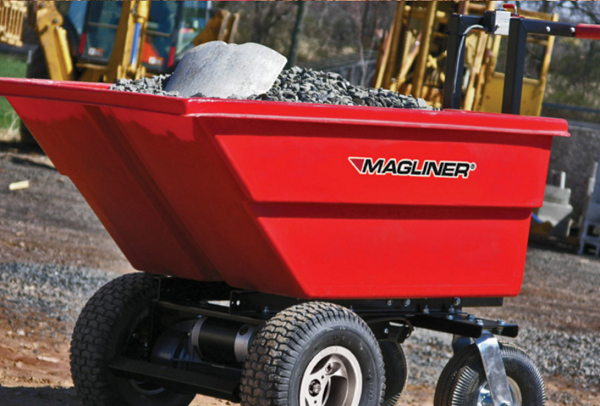 This 13-1/2 Cubic Feet Motorized Dumping Cart features power drive and reverse. 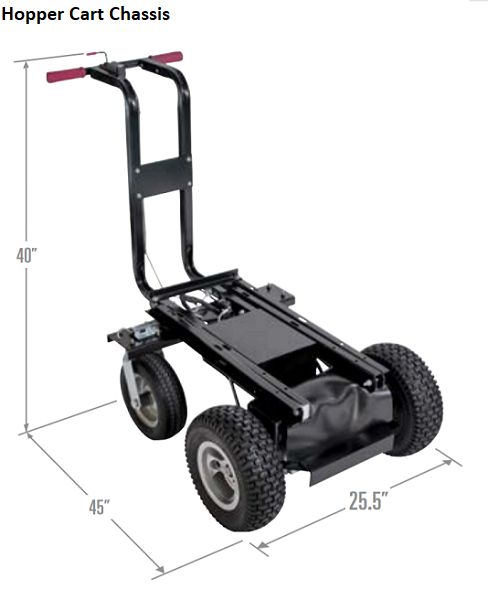 It has a 400 lb capacity with mutiple wheel types available which are all designed to perform well in different kinds of terrain. 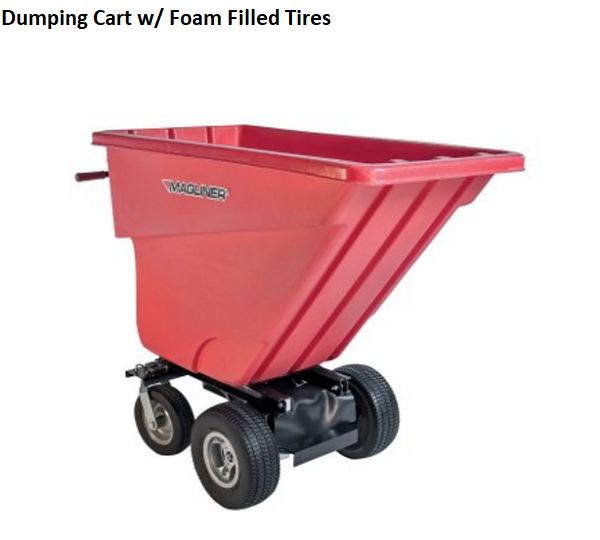 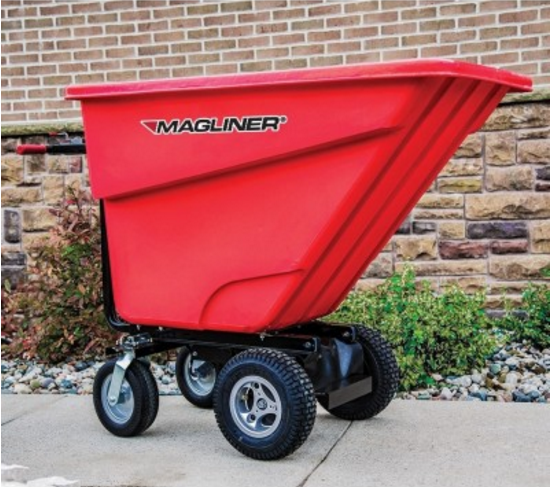 Its medium sized tub makes it a great alternative to a tractor and trailer for hauling materials and is perfect for carrying a variety of loads, a great example would be mulch, soil, refuse, bulky equipment and many more. 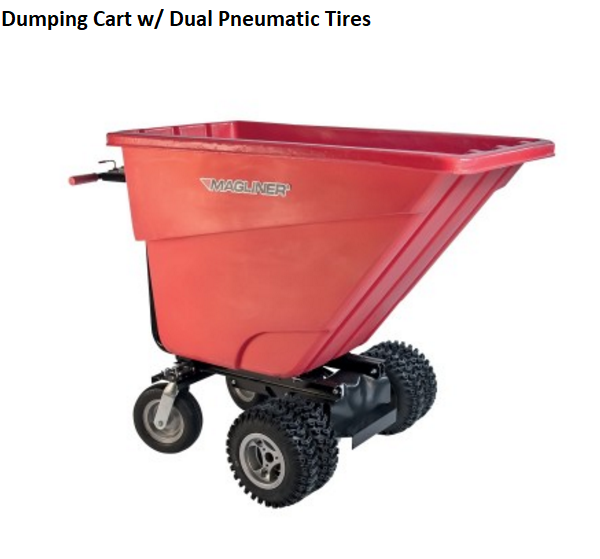 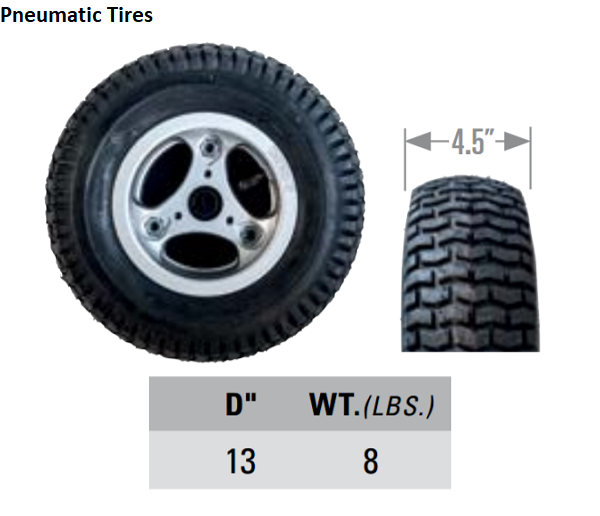 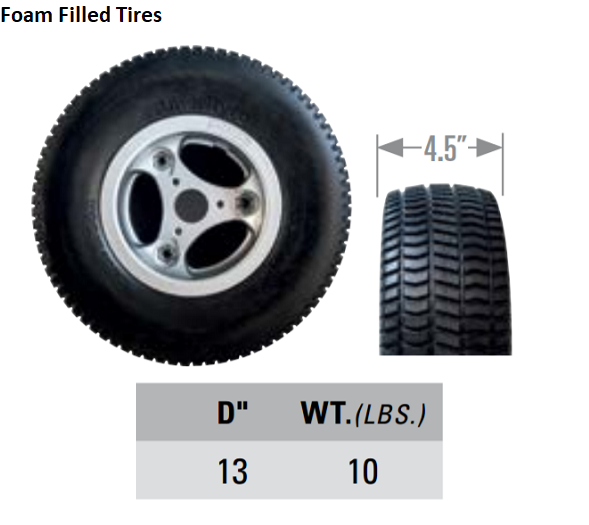 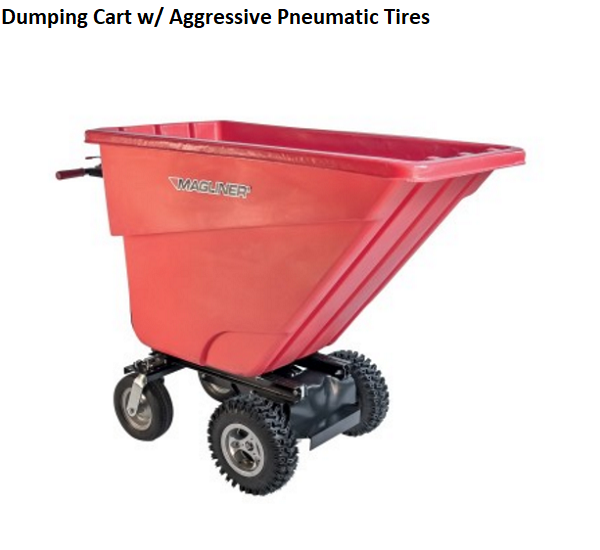 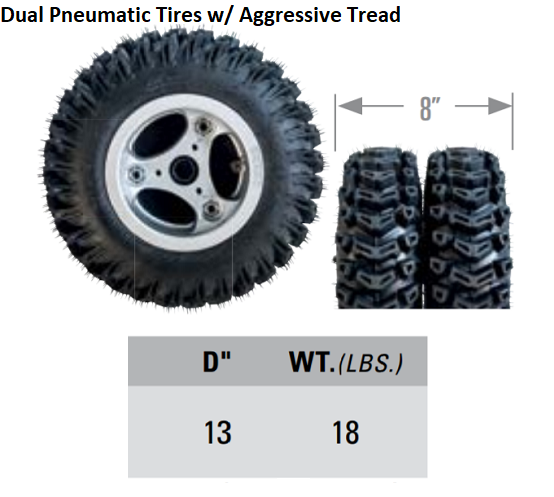 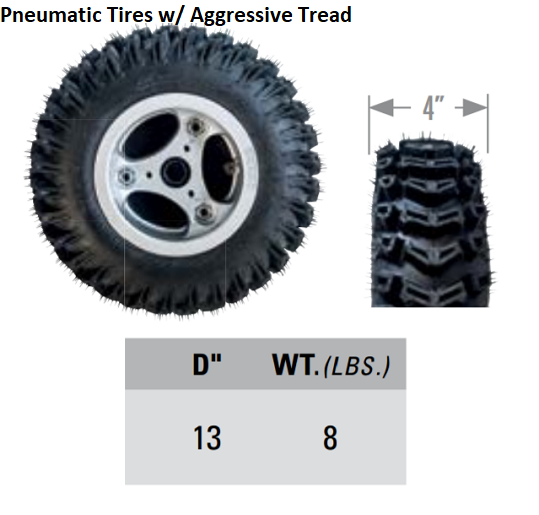 It's versatile enough to be used indoors and outdoors due to the great selection of tires that help stabilize the cart by gripping more firmly to the surface. 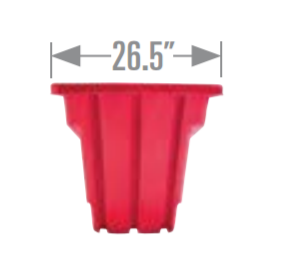 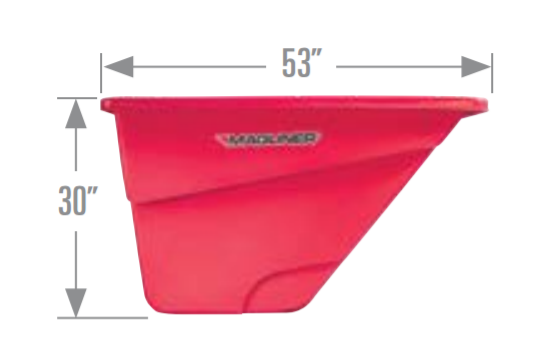 The tub is constructed out of Polyethylene which is resistant to cracks, dents and corrosion. 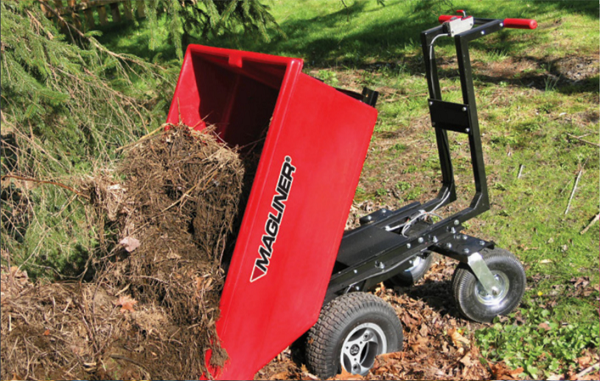 Dumping is done manually, you can dump your load by pushing up the handle bars or by lifting the hinge tubs.